Post all of this I weighed 64-67kgs, lean muscle with size. After January 2017, we started our next season preparation. The gaining phase catapulted my weight to 76kgs+ . The muscle density was outstanding. My weak muscle groups become much stronger. During this period my diet and workout routine had immense variation. Strength, stamina, endurance and motivation, everything took a huge jump. We had planned to reach a different level this year and hence had training like that during gaining itself. August 2017 had me back at cutting and we've been cutting very slowly. The most surprising thing is that even after shredding, the size has held on. Also, muscle conditioning, density, definition and maturity have peaked to levels way beyond thought. 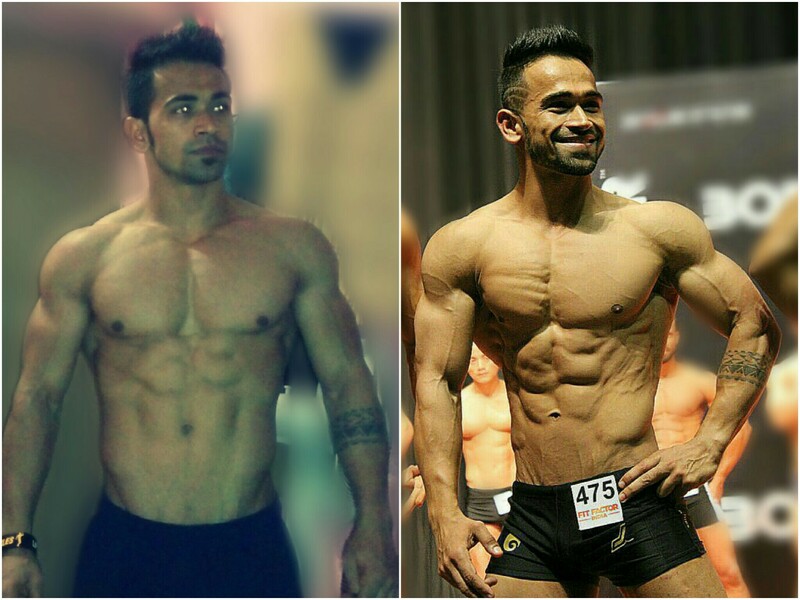 During the cutting period I had cheated a few times, but sir's immense motivation, his diet and training got me back on track. This year I've set my sights on the upcoming events: fitexpo17, federation cup, team boss classic, junior national, senior national. In the end I have only one thing to say, wherever I am is a simply because of my coach, he has guided me and made me whatever I am, is direct contribution of his work on me. Thank you sir. Forever indebted to you. Please let me know when are you delivering me the website. I was suppose to get it yesterday.